Buy: $99.95 One lot of (10) Comtrend AR-5381u wireless ADSL2+ routers - power on tested!! Buy: $17.0 COMTREND ES-7208 8PORT 10/100 FAST ETHERNET. Brand new in box. As shown. Buy: $39.95 One (1) Comtrend AR-5381u wireless ADSL2+ router in the box - power on tested!! 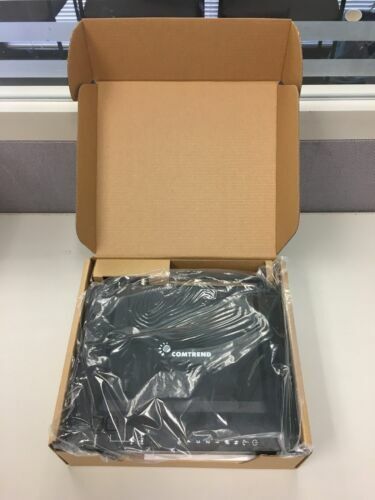 Buy: $39.95 One (1) Comtrend CT-5374 VDSL2 / ADSL2 Multi DSL CTE router new in the box!! Buy: $79.95 One lot of (5) Comtrend CT-5072T 722434-016 ADSL2+ routers - new in the box !! Buy: $64.95 One lot of (12) Comtrend CT-5072T ADSL2+ routers - power on tested!! $19.95 Comtrend ADSL2 + Router Fairpoint Input 12VDC/1A Security: WPA2/PSK Cord includ. Buy: $49.95 One (1) Comtrend CT-5363 Wireless Dual-WAN ADSL2+ Gateway in the box!! Buy: $49.95 One lot of (8) Comtrend CT-5621T ADSL2+ routers - power on tested! !